York is known for its history – extending from Roman times, through the medieval age, Tudor kings and Queens, the great plague, WW I and II right up until today. Continuously inhabited for two millenia York is filled with fascinating history and heritage, making it the perfect destination for history hounds. What then do you do in York if history isn’t really your bag? What if wandering around a museum bores you senseless and the idea of treading lightly and speaking softly in a cathedral is your personal idea of hell? Worry not! There is more to York than ancient history alone. 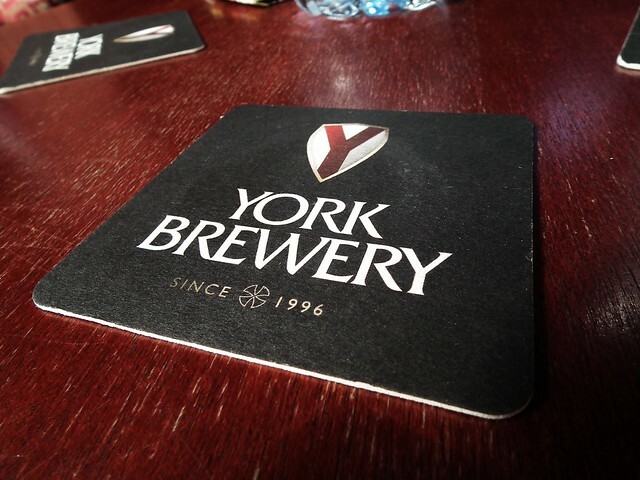 If you like your tourist attractions slick and high-tech then the York Brewery isn’t for you. If, however, you like to spend your time in unpretentious pubs with well-worn arm chairs and friendly barmen then add this to your list. 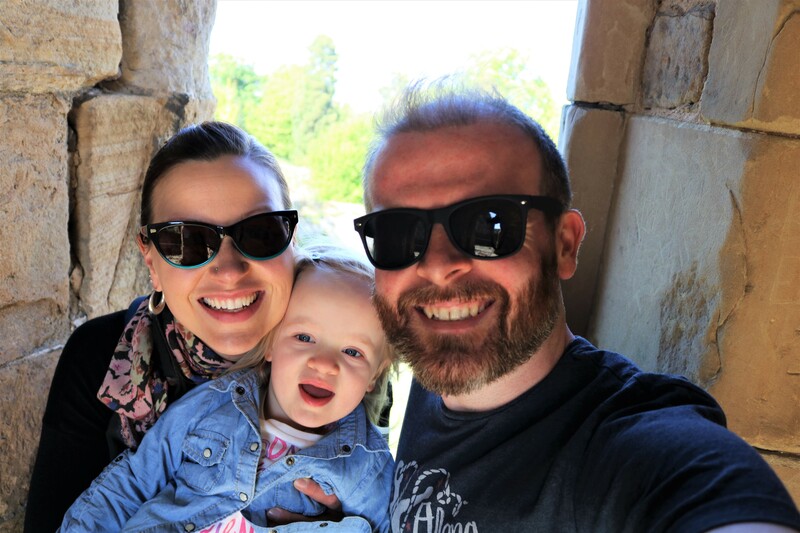 We’ve been on quite a few brewery tours and this was far more laid back than most, involving none of the glitz you would find at the Guinness Storehouse in Dublin or the Heineken Brewery in Amsterdam. The tour was included in our York Pass and included a tasty tester at the end. Damian went for one of their classics, Guzzler, while I went for the special edition Royal Charter that had been brewed in honour of the York 800 celebrations. Both were delicious and were well appreciated after a long day of sight-seeing. In 2012 York claimed the enviable title of Britain’s home of chocolate, a fact which I must admit had me rather excited prior to our trip. While other northern cities were wasting their time trading in boring goods like wool, cotton, and steel, York was paving its streets with sugar! 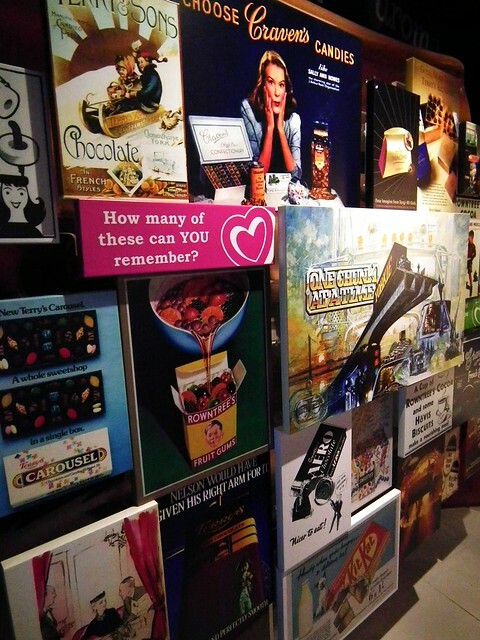 Companies like Terry’s, Cravens, and Rowntree’s called the city home and here Smarties, Kit Kat and Aero were born. As interesting as the history is, I must admit that I was more excited about the promise of samples along the way – of which there are many. We stuffed ourselves silly at any and all opportunity and for this I feel no guilt. 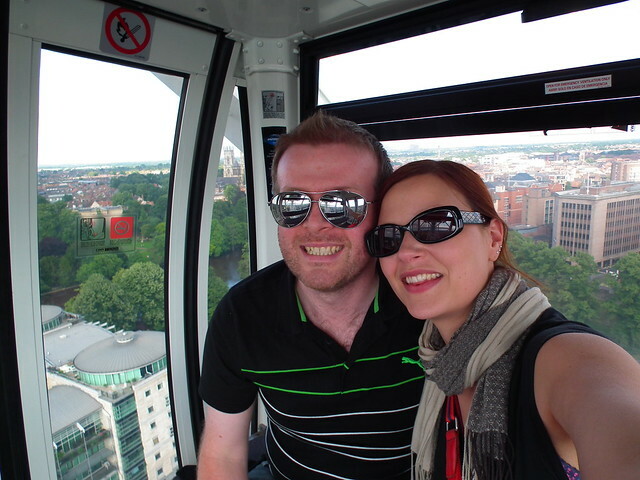 While the best known views over York are from the tower of York Minster or from Clifford’s Tower at York Castle, both of these views are preceded by a pesky climb to the top, and really, who wants to break a sweat when on holiday?! 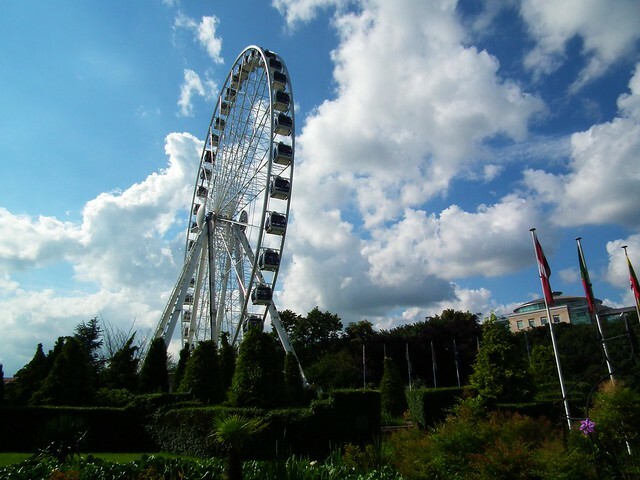 * A more leisurely way of viewing the city is undoubtedly on the Yorkshire Wheel, a 53 metre-high miniature (in relative terms!) version of the London Eye offering wonderful views across the city from the comfort of an air-conditioned pod, especially once you reach the top of one of your four rotations! A pre-set commentary explains many of the sights to be seen and Damian particularly enjoyed the incidental music of moderately successful 90s Brit-popsters, Shed Seven. *Having said this, on our recent visit to Belgium we counted every step we clambered up as an extra frite that we could reward ourselves with after the climb. While this may not have been accurate from a calorific point of view, if tasty Belgian frites are wrong I don’t wanna be right!